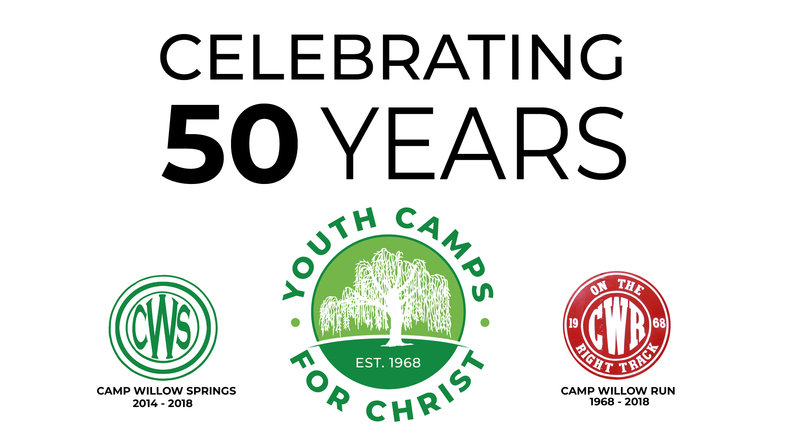 Youth Camps For Christ, Inc. was founded in 1968. YCFC, a nonprofit organization, owns and operates Camp Willow Run & Camp Willow Springs. Both camps are located on Lake Gaston in Littleton, NC. Camp Willow Run began operation in 1968 as a day camp and became a coed residential camp that currently serves campers in grade 6-8 and 9-12. Camp Willow Springs opened in 2014 and is a coed residential camp serving campers in grades 3-6. On Saturday, June 16 2018, Youth Camps For Christ, Inc. hosted a 50th anniversary celebration event for staff alumni, their families, and invited guests. This event was to celebrate 50 years of God’s faithfulness to this Christian camping ministry. In 1968, Camp Willow Run served 54 day campers during its summer camp sessions. In 2018, a total of 3,000 campers will attend summer camp sessions at CWS & CWR. Upon arrival for the anniversary event, over 500 guests enjoyed assorted camp desserts and coffee from Lake Gaston Coffee Company. A celebration session was planned and began with a welcome of guests and recognition of groups including former and current Board members, year-round staff, and the anniversary planning committee. Additionally, the families of Alvis & Mac Fleming, Marysue Crawley, and Jesse Pegram were recognized. A world map was shown with various countries marked that represented former staff who are currently serving on the mission field and were unable to be in attendance. After the welcome, Reverend Julian M. Motley was presented a plaque for 50 years of faithful service to Youth Camps For Christ, Inc. as a founding Board member. Rev. Motley lives in Wake Forest, NC and continues to serve on the YCFC Board. After this presentation, a historical video was shown that captured the 50 years of YCFC. It included the development of each camp, staff groups from each summer, and campers enjoying their camp experience. The camp history is a wonderful testimony of God’s provision and blessing through the years. Mrs. Linda Harris was then presented a plaque for 50 years of faithful service to Youth Camps For Christ, Inc. as Co-founder and Executive Director. Mrs. Harris accepted the plaque and then shared her story of the faith journey that allowed she and the late Reverend Erbie Mangum to start YCFC and CWR. A music team of staff alumni then led the group in the camp theme song and worship song and hymns. The guest speaker was J.D. Greear, lead pastor of the Summit Church in Durham, NC and a former camp speaker. His message focused on the elements of faith and sacrifice that have been evident over the first 50 years of ministry and he challenged the group to continue these for the next 50 years. After the celebration session, all in attendance enjoyed a delicious meal catered by Robert Harris. The day concluded with guests participating in recreation activities, exploring the renovated caboose historical museum, and enjoying the time to visit and fellowship with one another.